"Force and energy is accumulated and held latent in interstitial space by corpuscular aggregation, otherwise the progressive disintegration of water could not induce increased volume and pressure. 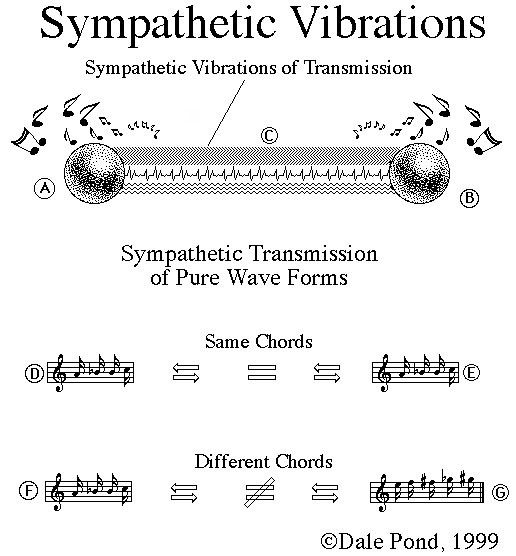 The sympathetic latent power is held in interstitial corpuscular aggregation by the incalculable velocity of the molecular etheric capsule and the atomic etheric capsule, which rotate at billions of times per second. "Corpuscular activity represents the outflow of the ether from the luminiferous toward neutral centers of aggregation, revealing the connecting link between mind and matter. This luminosity has no thermal accompaniment, yet all thermal conditions evolve from etheric vibration." ".. music, - that is of the nature that brings into association those forces of the celestial as well as the mental and spiritual..